You told us who you wanted to go to the playoff game with and we gave you tickets! Congrats to Kati Macoun and Ryan Daw on winning our contest! 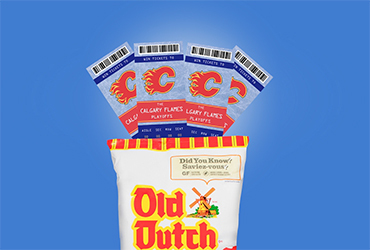 Old Dutch is a proud sponsor of the Calgary Flames. SPRING TRAINING IN FLORIDA CONTEST WINNERS! 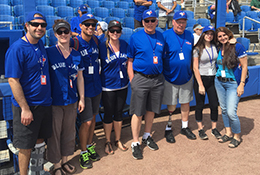 Congratulations to our 2016 Blue Jays Spring Training Contest winners who got to escape the Canadian cold weather to enjoy a weekend of fun in the sun in Dunedin, FL to watch the Blue Jays beat both the Baltimore Orioles and Philadelphia Phillies. The winners also received VIP treatment and were given on field access to watch the Blue Jays during batting practice. 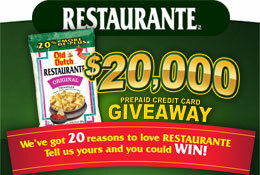 Old Dutch gives 20 More Reasons to Love Restaurante including some great prizes! 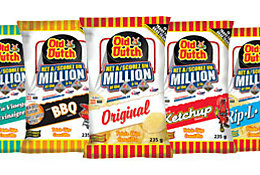 You told us YOUR reason to love Old Dutch Restaurante and we gave away over 1,100 prizes across Canada to thank you! Congratulations to the grand prize winners: Alan P of Toronto, Ontario; Kim H of Winnipeg, Manitoba; and Lee S of Regina, Saskatchewan. These 3 lucky winners each received a $ 2,000 prepaid credit card! 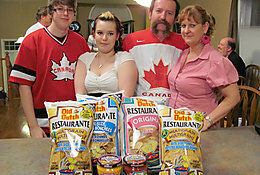 Our secondary prize winners each received a $ 250 prepaid credit card while all other prize winners took home a free bag of Old Dutch Restaurante tortilla chips! Thank you everyone for participating! Old Dutch and The Toronto Blue Jays form Canada’s Perfect Lineup! 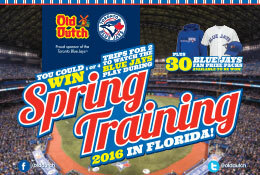 Old Dutch is proud to sponsor The Toronto Blue Jays and we wanted to share our excitement with our fans! We awarded our grand prize winners trips for 2 to see the Blue Jays play during Spring Training in Florida! Congratulations to Peter J of Dartmouth, Nova Scotia, Kait G of Prince George, British Columbia, Michael A of Milton, Ontario and Michelle R of Terrebonne, Quebec! Secondary prize winners received Blue Jays branded gear consisting of a Jersey, Sweatshirt, T-Shirt, Baseball and a Baseball Cap! Keep an eye open for next year’s contest and remember to cheer on the Blue Jays! 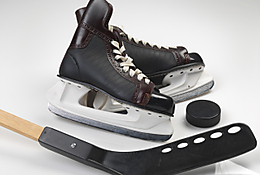 Bonus Prize of the 2014 Dodge Journey in the Celebrating Hockey's Parents and Coaches Contest. 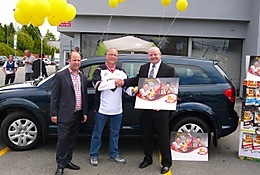 Congratulations to Hugh W. from Delta, BC for receiving his Bonus Prize of the 2014 Dodge Journey in the Celebrating Hockey's Parents and Coaches Contest! Old Dutch Coaching Academy provides its winners with a once-in-a-lifetime prize! 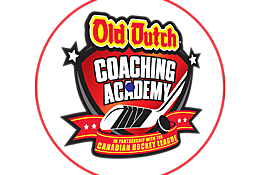 Coaching Academy Prize winners received a unique coaching learning opportunity, led on the ice and in the classroom by Brian Kilrea the most successful coach in CHL history. The prize also included: Economy airfare for one; three nights’ accommodations; souvenir package; and one ticket to the Final game of the Memorial Cup. 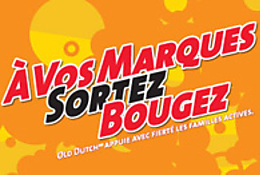 There was one Bonus Prize available to be won consisting of a 2014 Dodge Journey “Canada Value Package”, having an approximate retail value of Twenty Thousand, Seven Hundred Dollars (CDN). 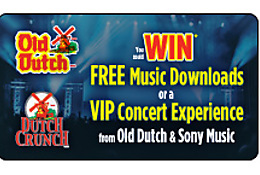 Old Dutch & London Knights MasterCard Memorial Cup Ticket Giveaway. Old Dutch with the London Knights gave away 30 MasterCard Memorial Cup Tickets to 15 lucky winners! Each winner received 2 tickets for one of the games at the MasterCard Memorial Cup on May 17th, 19th or 20th, 2014. 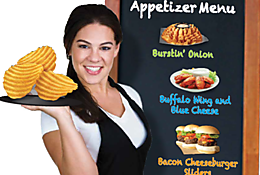 The Double Dutch “Buy Our Appy, We Will Buy Your Main” Facebook contest provides tasty rewards. The main prize winner received a two hundred dollar restaurant gift card and secondary winners obtained a case of NEW delicious Double Dutch potato chips! In the past we’ve given away Jarome Iginla autographed Easton Synergy hockey sticks, sports kits, Sony electronics, gift certificates, Helly Hansen® Skiwear, ski vacation getaways to various Resorts of the Canadian Rockies, RESP vouchers, community charitable donations, and even Spa getaways. See winners from some of our past promotions here! 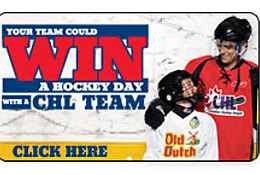 Why should you win a day with a CHL team? We are pleased to announce the winners of the 3rd annual Old Dutch CHL Rising Prospects contest were the Eston Rambler Atoms from Eston, SK, by sending in their response to the question, "Why should you win a day with a CHL team?" This team spent January 14 & 15, 2012, with the WHL's Swift Current Broncos. 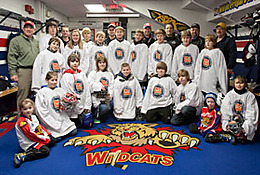 Their prize included VIP seats at a home game (which the Broncos won in a shut out against the Red Deer Rebels), and an afternoon of drills and skills that saw every player from the Broncos in attendance and in full uniform. These lucky 9 & 10 year old boys and girls went home with personalized Old Dutch jerseys, medals, boxes of goodies, and swag from the Broncos and the WHL. Great job everyone! 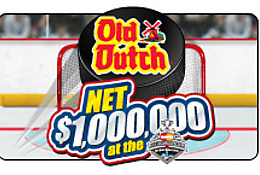 This year's Net $1,000,000 contest was a huge success! Another Winner! 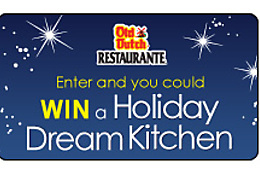 Congratulations to our Grand Prize Winner, Penelope N., from Delta, BC who just like many of you, entered to win our Restaurante Holiday Dream Kitchen contest. She was lucky enough to take home $10,000. That was worth it! Now comes the hard part… deciding over granite or marble countertops! Arrribaa! 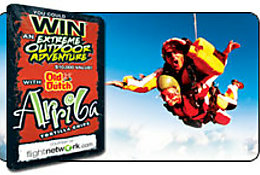 Or should we say, congratulations, to our Grand Prize Winner, Kasia R., from Langley, BC who won the 2010/2011 Arriba Extreme Outdoor Adventure contest Grand Prize custom vacation, a retail value of $10,000. 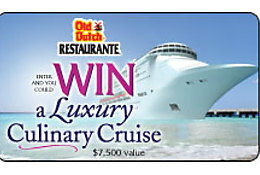 Congratulations to our Grand Prize winner, Robert S., from Kitchener, ON, who won the 2010/2011 RESTAURANTE Culinary Cruise Grand Prize, a retail value of $7,500. He summed up the experience as,"a trip of a lifetime and we couldn't have done it without you. No problem, mon." Well said Robert! Congratulations to our Grand Prize winners, The LaSalle Sabres 98’s from Windsor Ontario who won our “Win a Hockey Day with a CHL Team” contest. Congratulations to our 3 lucky prize winners in the NET A MILLION AT THE 2010 MASTERCARD MEMORIAL CUP contest that ran February 28 to April 25, 2010. Each of our winners received a trip for 2 to Brandon for the 2010 MasterCard Memorial Cup Final Championship game and played on-ice during the 2nd intermission for $100,000, $250,000 and ONE MILLION DOLLARS! GRAND PRIZE WINNERS: Brenda N. from Rocky Mountain House, AB represented the WHL and shot for $1,000,000. Brendan K. from Toronto, ON represented the OHL and shot for $250,000. Edwin C. from Dartmouth, NS represented the QMJHL and shot for $100,000. The big money eluded each of our winners, but Brenda, Brendan and Edwin each received a $5,000 home furnishings package from The Brick, and a $5,000 workshop tool package from Irwin Tools. All travel arrangements were courtesy of flightnetwork.com.